Wasn't as great as I was expecting, wasn't that bad either. 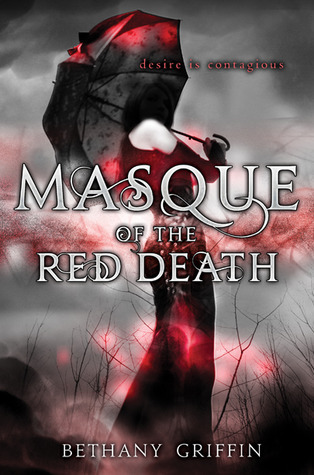 I like how it is more of the "background" leading up to Poe's Masque of the Red Death rather than just a retelling. The romance aspect of the book was frankly dumb. I'm not even sure it can be called romance. The characters lacked any real depth and I just got annoyed with how quickly their moods changed. The story also jumped around way too much. One minute Araby is walking down an alley, then next she is having deep conversations with people who suddenly appear in the story (that is not a specific example, just a general idea). Don't even get me started on Elliott's character. Will was the most likable of all the characters, but I still had a hard time connecting. I don't think I will recommend this book. It was okay, and makes me want to read Poe's short story again, but I'm just not that impressed. Thanks for the compliments! I would say definitely keep it as a to-read book, but maybe save it for after you finish all the "really want to read" books.